I can tell that Jen has been sad every since our ill-fated attempt to eat dinner at Ikea last week. She has lost her taste for the Swedish meatballs but still retains a healthy urge for their broccoli cheddar cakes. Since I had to make another trip to Ikea today (hopefully the last for a while) I decided to bring Ikea dinner to Jen. 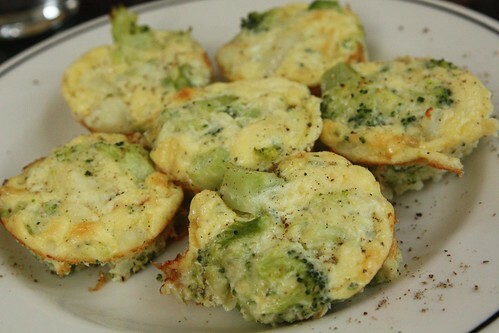 I made these little cakes with broccoli, fontina, potato, egg, cream, salt, and pepper. I baked them in the oven in muffin tins and served them with a light salad. They were pretty tasty. I asked how they stacked up to the Ikea versions and Jen said these were even better. I know she's lying but it was still pretty nice. I have not really been looking forward to this Tweason'Ale gluten free beer from Dogfish Head, but I figured tonight would be a good time to enjoy it seeing as how dinner was gluten free. The beer tasted a little like a white wine spritzer, and kind of like ginger ale. I think I've had better gluten free offerings. 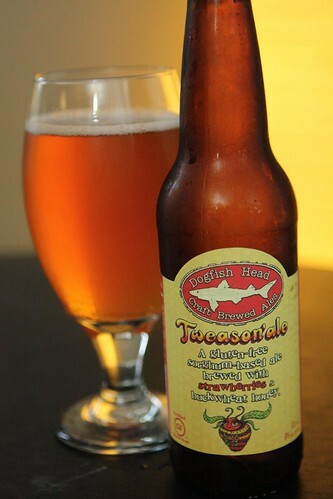 Since it was Dogfish Head they chose to flavor it with strawberries and ferment it with honey. I think I'd prefer my gluten free beers to be a little more beery. I guess I'm just glad I don't have to be gluten free. Tonight we're watching game four of the Stanley Cup Finals where I hope to watch the L.A. Kings complete a sweep of the New Jersey Devils. 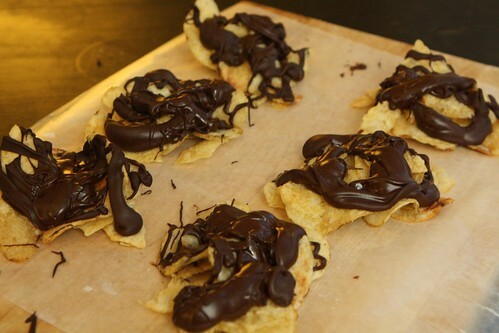 To celebrate I continued the salty-and-sweet trend started last night and made these chocolate covered potato chip clusters. They were pretty tasty but I don't really thing we needed anything for dessert. Watching the Devils lose will be sweet enough. Anything other than fizzy yellowish ales are pretty hard to come by in the gluten-free camp. You can try some of Green's Belgian beers which are gluten free. The best one (IMHO) is the Estrella Daura. I don't think they can label it as gluten free in America but they do in Europe. Info on their website explains it and if it's right for you it's definitely the tastiest of the gluten free beers.